LOS ANGELES — A new comedy by Sharon Sharth in its world premiere production asks, “What if true love never happens? Or worse…what if it does?” Sharth examines with a close-up lens two separate but related issues, Grace’s desire to have a baby, as her biological clock is rapidly ticking that possibility away, and finding a suitable marriage partner for this family-to-be. The play has none of the agitprop certainty of Clifford Odets’ Waiting for Lefty, nor the enigmatic existentialism of Beckett’s Waiting for Godot. In this Waiting, we are rooting for a more actualized, self-realized person, named Grace, to emerge out of her Mary Tyler Moore-inspired fantasy that powerful women can “have it all” without compromise or conditions. Lee Costello directs a very busy cast of six. 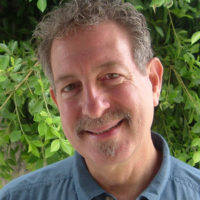 Aside from the playwright herself, who portrays Grace, only one other actor has a single role assignment, Todd Babcock as David, who will become Grace’s eventual husband (no plot giveaway since the logo for the show is a white wedding dress set against a heart of red rose petals). The other four are Jeff LeBeau who plays Doctor 3 and Joes #1, 2, 3, 5 and 7; Lily Knight, playing Doctor 2, Nurse, Mary 1 and Mary 2; Pamela Dunlap, playing both Mom and Coach; and (on opening night) Bob Telford playing Doctor 1, Dad, and Joes #4, 6 and 8. That gives you an idea how many prospective husbands, and how many fertility specialists, Grace went through on her way to the altar. It also tells you that these hard-working actors almost never leave the stage between one role and another. After Joes #1 to 3 split, Grace decides to seek out some help. Maybe the problem is not only with men and their infamous resistance to commitment. Maybe she needs to figure herself out, and Mom’s advice isn’t so useful. “Men are not worth it,” she says, “have some chocolate.” Aside from her well-read friends who offer her advice from books, a Jungian therapist and a relationship coach enter her life. While they have Grace’s interest at heart, they see her situation from different and conflicting perspectives. Grace barely knows where to turn any more. A single-minded desperation is indeed the driving force in Waiting for Grace. Yet, as much as she yearns for her own cuddly little baby with a loving husband somewhere in the picture, she seems not to have considered other options. To be convincing, the playwright would have needed to show us what experience or aptitude Grace has for raising children. We see plenty of her neurotic, angry, hypercritical qualities, but the most we can surmise from these is that Grace will turn out very much like her unsympathetic Mom. She seems not to have considered what happens quite frequently: having a child by a man who is not perfect and may not turn out to be her husband for life. Or taking on a foster child to see if parenthood suits her. Or adopting a child. Or even just having a baby as a single parent. Or if she does find Mr. Right, adopting his child by a surrogate mother. Grace seems to have either given up her career as an actress and is pursuing her domestic Holy Grail as a full-time job, or else her career has given up on her; maybe some of both. (She does write children’s books now.) In any case, her exaggerations, no longer comic, come to define her, leading to many thousands of dollars’ worth of what appears in the end as a self-centered indulgence trying to get properly pregnant by the proper guy at the proper time. The fast-paced yet thoughtful play takes us on a frantic quest with characters that especially women will relate to. 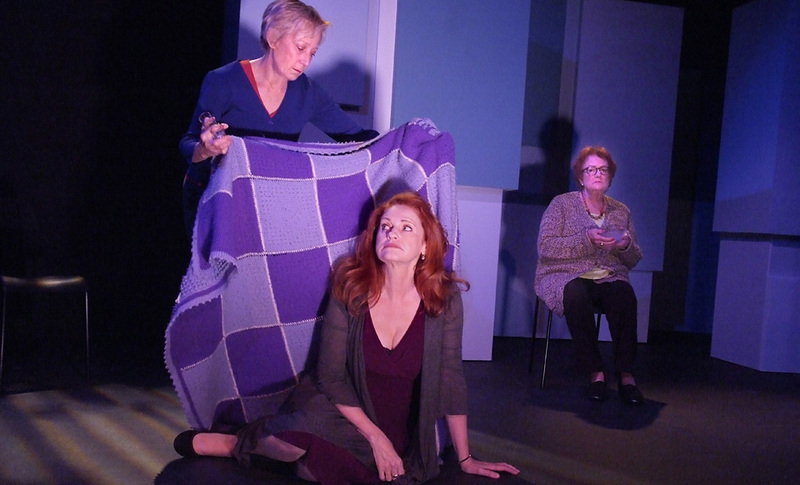 “In many ways,” Sharth says, “the play is the story of a generation of women who were caught between marriage and career.” Some theatergoers may find the author’s intensity controversial. Another issue that doesn’t get addressed is whether the options Grace is following are available to women with less education and access to money. Perhaps if we saw her in a self-help group with other women with similar concerns, she would learn that she is simply not the center of the universe. As well written and amusing as the play is, as many humorous, truthful nuggets of wisdom Sharth embeds in her script, and as much as we may empathize with Grace’s situation, it’s kind of hard for most of the play to actually like her very much. Matters of the heart are eternally the subject of advice books, TV shows, religion, tradition and therapy. Each discipline imposes its own set of rules. There is even a dating book called The Rules, which has become almost a cult with many spinoffs. Waiting for Grace is observant in satirizing these aspects of our culture. One size will never fit all, and in the meantime, once you’re on the cusp of figuring it out, you’re all of a sudden older, or he is, or she is, or they’ve changed, or you’re sick or broke or whatever. And you’re also trying to pursue a career. Is it really possible to “have it all?” And if so, for how long before circumstances force you into a new paradigm? What does “having it all” mean, and is it a useful goal anyway? The creative team includes set designer Pete Hickock who effectively uses a few chairs and simple props; lighting designer Donny Jackson; sound designer Dave Marling (a lot of sugary pop love songs); and costume designer Michael Mullen, who worked hard to help us distinguish among all these Joes and doctors. Waiting for Grace is a guest production by Racquel Lehrman, Theatre Planners at the Odyssey Theatre, 2055 S. Sepulveda Blvd., Los Angeles CA 90025, running through Dec. 11. 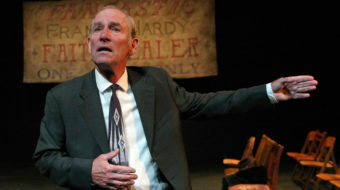 Performances are Thurs., Fri. and Sat. at 8 pm (dark Nov. 24), and Sun. at 2 pm. For tickets and information call (323) 960-7788 or www.plays411.com/waiting.